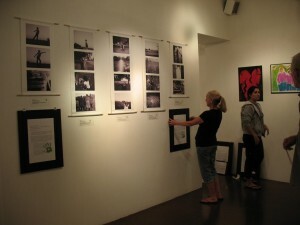 I just got back from hanging the girls art work at the gallery. It looks amazing, I think they are going to be quite surprised at the work they did and to see it in a real art gallery. I am honored to have been able to participate as a photography workshop leader to a group of teenage girls at the Aviva Family and Children’s Services. I hope you can join us, it will certainly be a worthwhile evening. Art Explosion is an exhibit for the community to experience artwork created by some of the children and families participating in Free Arts for Abused Children’s creative expression programs. “The Story My Heart Has to Tell…” including sculpture, mixed media, photography and more. Including a silent auction with artwork from the volunteer artists inspired by their work with the children. I had a great show in Sedona, sold a couple of pieces. One was a brand new image, I had just made the plate and printed only one print a couple of weeks prior. A nice young man bought it for his wife. Of course it’s always fun to see Gary and Andrea Smith. 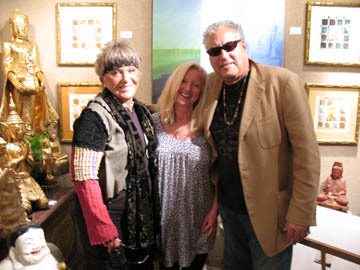 Here we are at my artist reception Saturday May 24th.